At Building & Earth, community has several layers-the internal team, our professional relationships, our families and the cities where we live and work. Serving each of these communities is a privilege. That’s why we are proud to partner with several others in the architectural/engineering/construction community to raise funding for Children’s Harbor, a not-for-profit organization dedicated to serving and strengthening children and their families. Imagined almost 30 years ago by the family who founded Russell Athletic, the Lake Martin, AL campus partners with more than 16 groups who serve the seriously ill and the disabled, providing camping and adventure services. 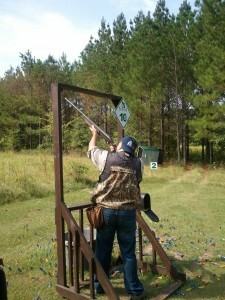 Last fall, the Building & Earth team participated in the 9th Annual Magic Moments Children’s Harbor Sporting Clay Shoot. The event has been a yearly favorite for us since it kicked off in 2004. All proceeds benefit Magic Moments and Children’s Harbor, and over the years, the event has raised more than $400,000 to support Children’s Harbor/Magic Moments in its mission. The teams we field enjoy the camaraderie, the weather and most importantly the knowledge that they are part of something much bigger than just another day of sport in the field. This year’s event is set for September 24, and the folks at Magic Moments tell us it’s already filling up. Add your name to the participant list here. We’ll look forward to seeing you there!